"I believe I can fly...I believe I can touch the sky..."
These photos should enlarge when clicked. Unfortunately, there's no feature for brushing your hair after the event on my photo editor. BTW check out my shadow on Picture One. Thank you for all your kind comments so far. 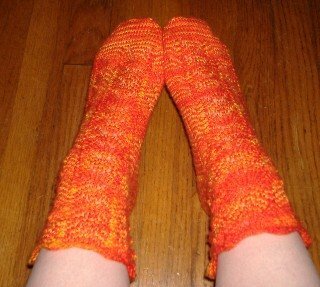 Its gorgeous Kathleen, so pretty in the sun. Its really beautiful and the scenery is pretty nice too! 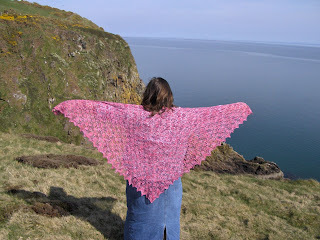 I hope you get the chance to wear all of your shawls? So beautiful! That shadow is so cool! Balcory Bay? 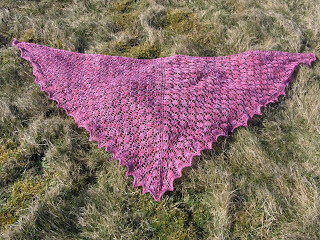 - shadow suggests Rio or Gateshead but they don't have your gorgeous shawl. Hope you have loads of opportunities to wear it, posh or otherwise. 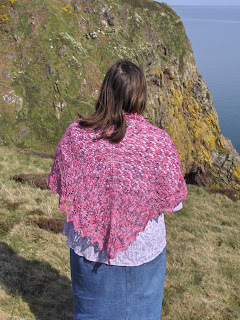 What a pretty shawl, the colours show up really well along with the design. Can't wait to see it" for real!" 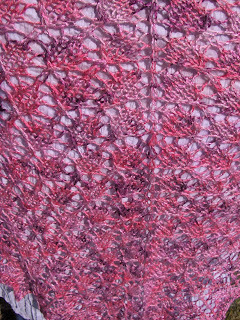 Your shawl turned out very beautifully - actually it's a real piece of art, especially in this great colourway that you've been using! Congratulations on a fabulous accomplishment! 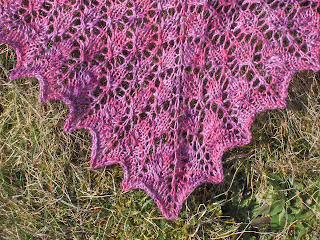 D'you know that every time I have been in your blog and have seen this shawl I have seen something different about it? Please bring it to the next meet so that I can have a feel. I know it is going to be more gorgeous actually seeing it.